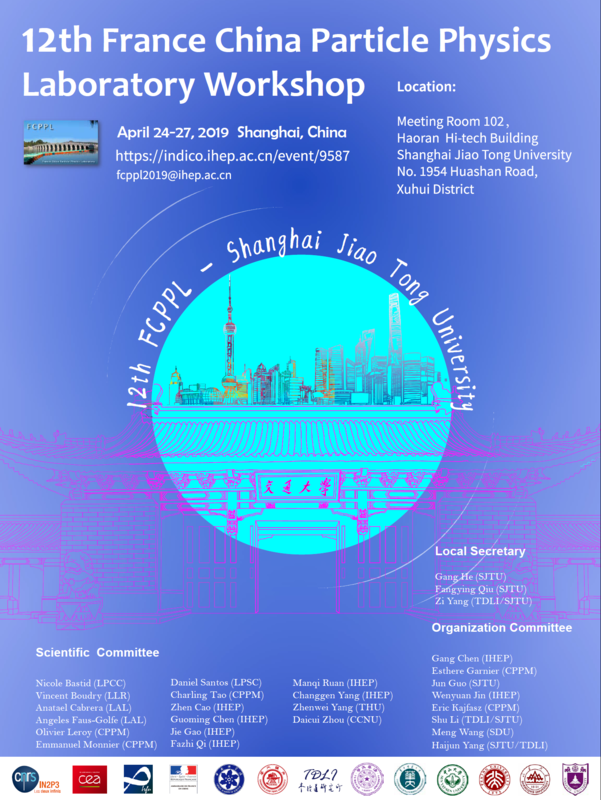 It is our great pleasure to invite you to attend the “12th France China Particle Physics Laboratory Workshop” to be held at Shanghai Jiao Tong University, Xuhui Campus, Shanghai, China, from April 24-27, 2019. We warmly welcome you to attend the workshop and give an excellent talk. The France China Particle Physics Laboratory (FCPPL) was established according to the agreement between CAS, CNRS and CEA in April 2007. The aim of the joint laboratory is to promote the cooperation between France and China in particle physics. Following its creation in 2007, cooperation programs have been set up and funded through this laboratory. The main purpose of the 12th workshop is to present, review and discuss the various ongoing and future activities performed by Chinese and French scientists within the FCPPL framework, especially. These new progresses will be put into context by a few review talks at the beginning of each session. Moreover, throughout this workshop, discussions between scientists from both countries will foster and reinforce our basis of research and exchange, as well as develop further cooperation. Looking forward to hearing from you and seeing you at Shanghai soon.